2 Bedroom Flat For Sale in Paddington, London for Asking Price £1,255,000. A third floor (with lift) apartment set within a brand new development. Accommodation extends to 741 sq ft and is formed of open plan kitchen reception room leading to enclosed winter garden (118 sq ft) with far reaching views over Paddington Green. The master bedroom features luxurious ensuite bathroom with bath and walk in shower, and there is a second bedroom with fitted storage, and guest bathroom. 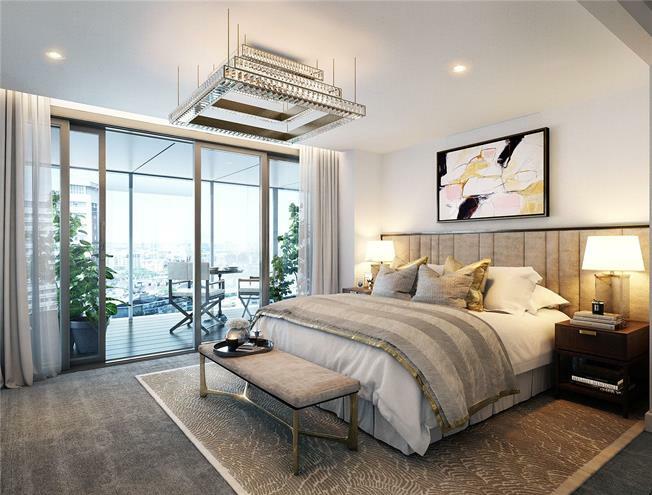 This high specification apartment offers utility and storage cupboard, as well as Miele appliances, underfloor heating, comfort cooling and secure underground parking by separate negotiation. Paddington Gardens lies in the heart of the Paddington Basin, offering a variety of restaurants, cafés, gyms and retail shops and social activities just moments away. Nearby transport links include Paddington Station (Bakerloo, Hammersmith & City, Circle, District lines, National Rail, Heathrow Express and CrossRail /Elizabeth Line due 2019), Edgware Road (Circle, District and Bakerloo lines), and Lancaster Gate and Marble Arch (Central line). Service Charges: Est. £5/sq ft pa. Please note images are computer generated and are indicative of the development rather than this specific unit.